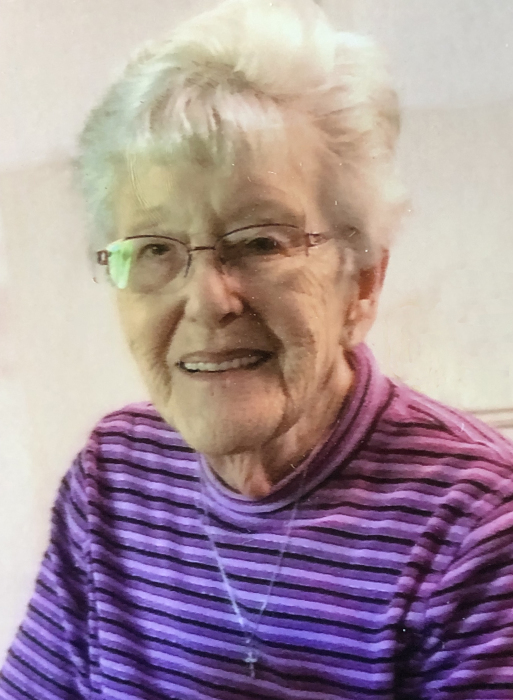 Jean Marie Beach, late of Saskatoon, passed into the presence of her Lord and Savior Jesus Christ on March 28, 2019 after a brief illness. Jean was born to Frank and Marie Schmidt in New Jersey, USA, and accepted Christ as her Savior as a teen. She took her Bible School training at Providence Bible Institute, Rhode Island, USA, and following that, joined The Evangelical Alliance Mission (TEAM). In 1953, Jean went to Southern Rhodesia (Zimbabwe), Africa, to serve her Lord and married Wilbur Beach in 1955. To their union were born Diane and Heather. Jean and Wilbur served as missionaries for 37 years in Africa and then retired to Prince Albert and later moved to Saskatoon. Jean and Wilbur touched many lives through their love for the Lord and their service. Leaving to mourn are her daughters Diane (Nixon) Timm and Heather (Pete) Nordli, granddaughters and great-grandchildren. Jean was predeceased by her husband Wilbur of 62 years, brother Charles Schmidt and her parents Frank and Marie Schmidt. Her favourite Scripture was Philippians 1:6 “ And I am certain that God, who began the good work within you, will continue His work until it is finally finished at the day when Christ Jesus returns.” Her favourite hymn was “At Calvary.” We love you Mom. You have been a blessing to many. At Jean’s request, a Private Interment will be held at a later date. Arrangements in care of Mourning Glory Funeral Services (306) 978-5200.